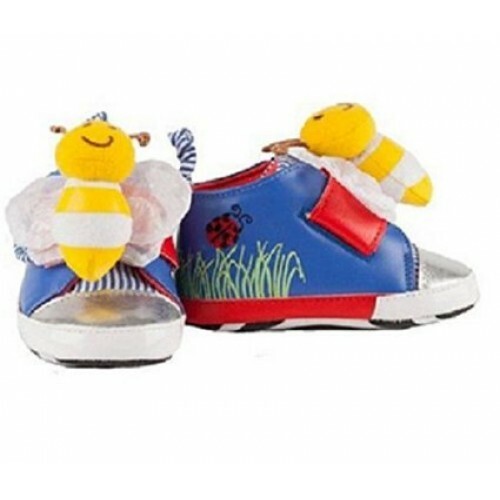 Playtoes are a popular interactive pre-walker shoe for little ones. Babies become interested in their feet at around 4 months and this continues until they are crawling or walking. These cute little pram shoes will encourage reaching and grabbing and kicking, stimulating baby's senses and aiding mental development at the same time by engaging babies with expertly selected high-contrast colours. 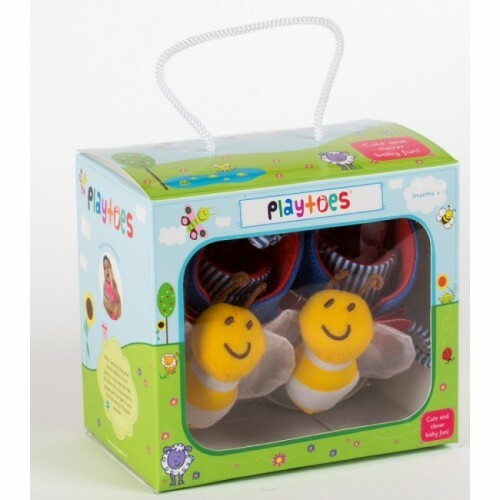 With every kick, tug and wiggle Playtoes squeak, rattle and crinkle to keep your baby entertained. 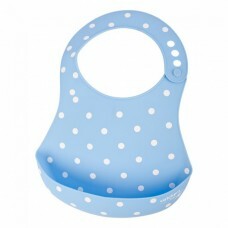 Great gift idea for babies!